The Maintenance Supervisor develops, plans, implements and completes maintenance projects and programs at UNC Health Care System. 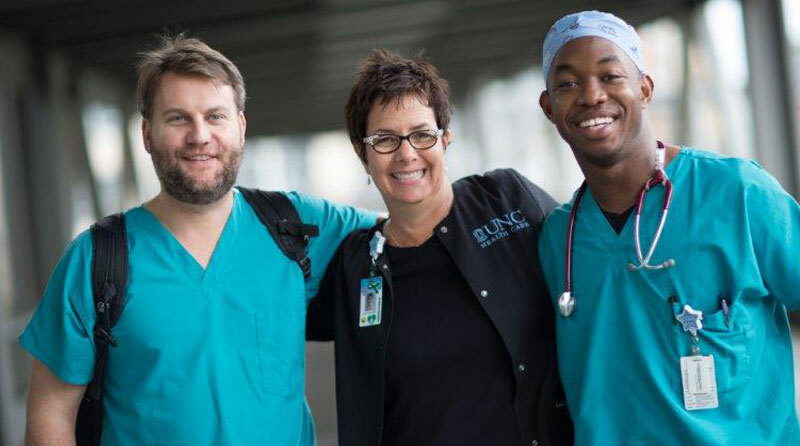 This position ensures compliance in maintenance throughout the UNC Health Care System. 1. Coordinates the flow of work or services between Facilities departments, and assists in the resolution of inter- and intra-departmental operating problems. Maintains safety and health standards to ensure compliance with Joint Commission on accreditation of Healthcare Organizations (JCAHO), local, state and federal codes and regulations, and UNC HCS policies. 2. Estimates job requirements, including staffing, equipment, parts, materials and supplies for designated work unit. Monitors work activity levels to ensure proper staffing and other resources are properly allocated. Responsible for managing contractors in area of responsibility. 3. Performs administrative activities, including preparation of special and periodic reports to management as needed and requested adherence to financial data, budgetary information, maintenance charge backs and other data initiating and preparing forms and records, including payroll records, work orders, inventory records, personnel records, material requisitions, and other documents. 4. Procures parts and services for area of responsibility. Oversees the safe operation and use of various types of mechanical and power driven equipment. Inspects maintenance equipment and facilities to ensure that the maintenance objectives of the Division are being fully realized. 5. Responds to and resolves inquiries from the public, patients, and UNC HCS staff. Monitors the effectiveness of preventive maintenance programs and provides information about new equipment and technology for program updates. 6. Responsible for planning, scheduling, training, and supervising maintenance personnel, group leaders and other workers in the completion of their duties. Assists director in interviewing, selection, promotion and evaluation of applicants and employees according to UNC HCS policies and procedures. NOTE: This position shall be assigned to oversee the Electronics Shop and must meet the additional Professional experience requirements for the Electronics Shop. If assigned to Electronics Shop: Requires either graduation from a Technical or Community college or Institute (2 year program minimum) with a degree / diploma in Electronics or related technical field, or NICET Fire Alarm Systems Level II Certification. Requires ten years progressive experience in complex electronic systems maintenance, installation and repair, including fire detection and suppression systems, communications systems and television systems. Experience must include extensive knowledge of electronic theory, system application, electrical and electronic circuitry and electronic devices and equipment.